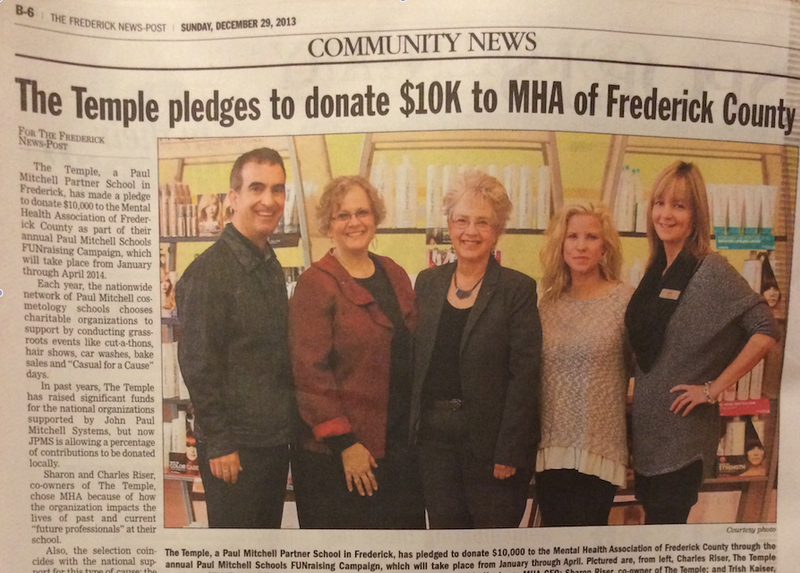 AUG 6, 2014 - Many Paul Mitchell Schools added a new twist to their "giving back" philosophy by pledging a portion of the money they raised in their annual FUNraising campaign to charities in their own local communities, donating $133,640 to a variety of organizations across the nation. MAY 4, 2014 - After three months and literally thousands of hair shows, casual days, cut-a-thons, and "FUNraisers," more than 13,000 cosmetology students from 110 Paul Mitchell Schools raised over $2.1 million for 11 selected charities, bringing their 11-year total to more than $13.3 million. 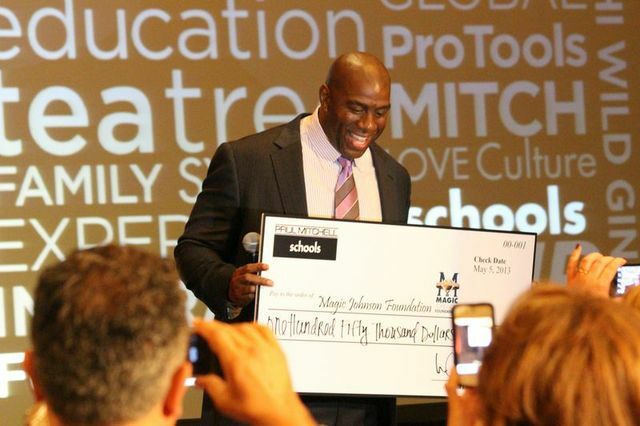 MAY 7, 2013 - Two hundred school owners and directors attending the Paul Mitchell Schools biannual Summit meeting received a huge surprise when Earvin “Magic” Johnson walked through the door. The legendary basketball player, entrepreneur, and LA Dodgers owner dropped in to personally thank the schools for their $150,000 donation to the Magic Johnson Foundation. MAY 5, 2013 - While most nonprofits are seeing declining donations, 16,000 cosmetology students and staff members from the nationwide network of Paul Mitchell Schools raised $2.6 million in three months, surpassing their goal, hitting their 10th consecutive all-time high, and bringing their "FUNraising" grand total to over $11.2 million. JAN 2013 - For the 10th straight year, the nationwide network of Paul Mitchell beauty schools are spending the months of February through April raising money for charitable organizations. Their goal: To take their grand total over the $11 million mark by raising $2.5 million this year. Their partners: A host of superstar celebrities representing 11 spectacular charities. 2012 Campaign Raises Over $2.5M! MAY 2012 - Glittering with gorgeous gowns and glamorous hairdos, the legendary Beverly Hilton, home of the Golden Globe Awards, rolled out the red carpet for the Paul Mitchell Schools 9th annual FUNraising Gala. Raising $5 to $10 at a time with grassroots activities like cut-a-thons, hair shows, car washes, and casual days, the schools topped the $2.5 million mark this year, bringing their nine-year total to more than $8.5 million. MARCH 2012 - With their annual FUNraising campaign drawing to a close, Paul Mitchell Schools are gearing up for a spectacular celebration featuring Grammy Award nominee Natasha Bedingfield and a galaxy of celebrity superstars including Betty White, Marie Osmond, Fran Drescher, Kristin Bauer, Kathy Buckley, and more. MARCH 2012 - Showing that compassion knows no boundaries, 20 beauty industry icons have pledged a day of edcuation for the Paul Mitchell Schools annual "FUNraising" campaign, which has raised over $6 million to date. The superstar lineup features top artists and educators in and out of the Paul Mitchell realm, including TV's Tabatha Coffey, celebrity stylist Ted Gibson, celebrity colorist Beth Minardi, and six-time NAHA winner Vivienne Mackinder. FEB 2012 - For the ninth consecutive year, the nationwide network of Paul Mitchell beauty schools will spend the months of February through April raising money for charitable organizations. Their goal: An all-time high of $2 million. 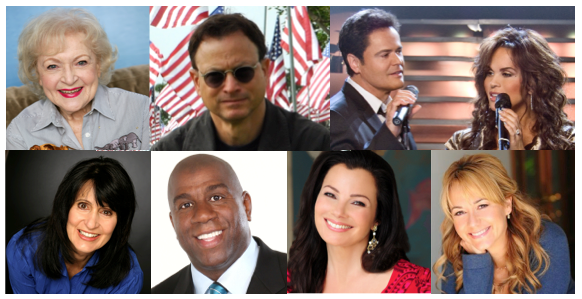 Their partners: Betty White, Donny and Marie Osmond, Gary Sinise, Magic Johnson, Fran Drescher, Kristin Bauer, and Kathy Buckley. MAY 2011 - With Paul Mitchell Schools located in Alabama and Missouri, the nationwide network sprang into action after America was devastated by its deadliest tornado day since 1925. MAY 2011 - At their biannual Summit, Paul Mitchell school owners raised $106,250 for No Limits, the country's only theater group for deaf and hard-of-hearing children. Appearing at the Summit on behalf of No Limits, deaf comedian and motivational speaker Kathy Buckley showed a clip from the wildly popular TV show "Glee," in which No Limits alumnus John Autry II performs a solo of John Lennon's "Imagine." As the clip ended, the real-life John Autry joined Kathy on stage and performed the song again. 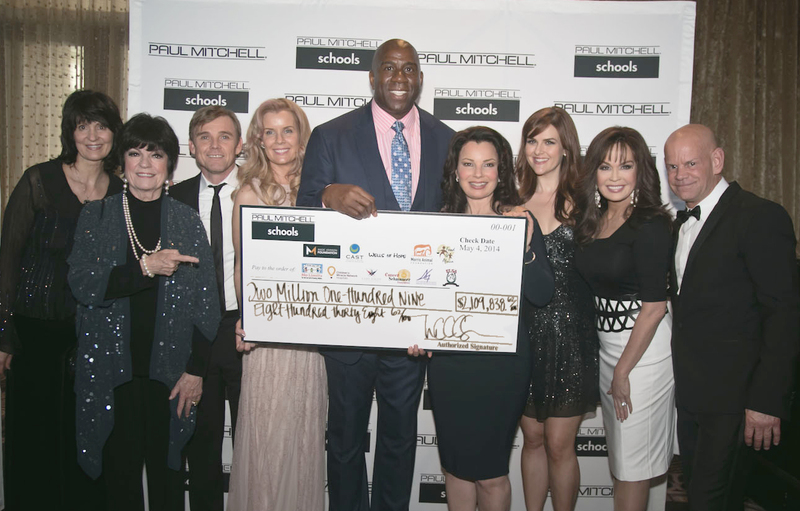 MAY 2011 - Now in its eighth year, the annual Paul Mitchell Schools FUNraising campaign topped last year's high, bringing the grand total to over $6 million. The gala Magic of Memories celebration featured Betty White, Dolly Parton, Donny and Marie Osmond, and Leeza Gibbons. JAN 2011 - Attend the Magic of Memories Dinner and meet Betty White, Dolly Parton, Donny and Marie Osmond, Leeza Gibbons, and John Paul DeJoria!